Transmitting our knowledge is one of our priorities. We have condensed our experience in the structural and preventive conservation of panel paintings in a series of workshops and training sessions. 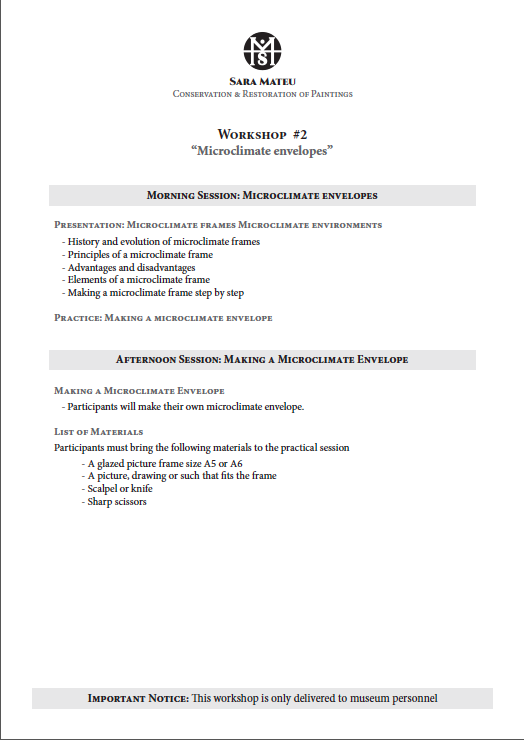 You will find programmes of each workshop at the bottom of this page. 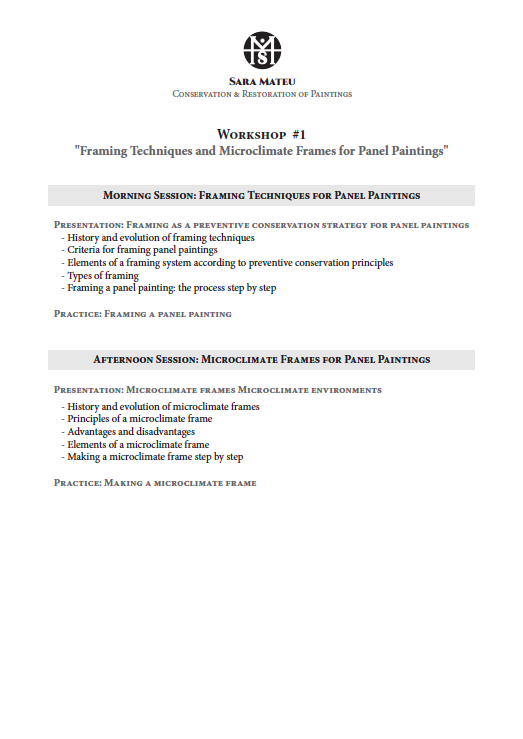 The workshops are designed for museum personnel, freelance conservators, conservation students, and teachers looking for a more specialized approach to panel paintings. Every workshop is composed of a presentation followed by a practical session, both specially tailored to satisfy the needs of the audience. We put great effort in providing a personalized learning experience for every single attendee. That is why the number of attendees is limited. If you would like to participate, we invite you to contact us or fill our inscription form. Submit your form to sara(at)saramateu(dot)com and we will update you with all the information regarding our upcoming sessions.